E! Style Contributor Contestant MBGN Tourism Chinyere Adogu! Most Beautiful Girl In Nigeria (Tourism) 2014, Chinyere Adogu, has been selected to become a finalist of the E! Style Contributor Contest, sponsored by Tresemme for New York Fashion Week. To vote for Chinyere click on the link provided below . Please note Voting is allowed mltiple times and daily. 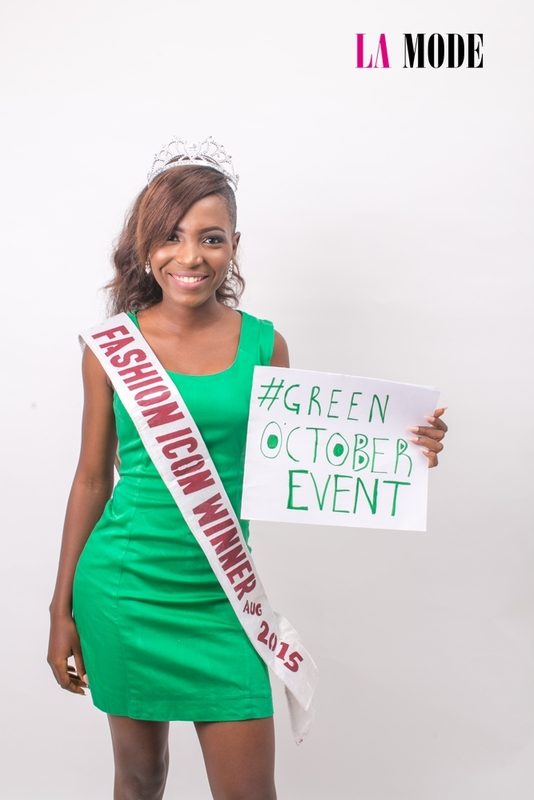 Fashion Icon Winner Estelle Aleonoye Campaigns for La Mode Magazine Green October Event!!! !